A Career as a Pro Golfer. ~ Single figure handicap young men, particularly if playing from a handicap of 3 and below, when reaching around the age of 16 often look to becoming a Professional Golfer as a career. They see the tour stars earning huge amounts of money doing a job that they enjoy, appearing on television playing on superb golf courses all around the world chasing the sun, and would like to be part of that scene. Some look to the Pro Golfer life as an Assistant Professional at a Golf Club, with a view to eventually becoming a Club Professional. Playing golf, giving lessons, serving members and visitors alike through the Professionals Shop, what better life could there be? The reality for most as a Pro Golfer is a bleak future. I would strongly dissuade any young man thinking of entering into Professional Golf, unless they are blessed with all the ingredients to succeed. The drop out rate for a life time career as a Professional Golfer is quite high, both in Tour Golf and Club Professional Golf. Few enter into Professional Golf realising the difficulties along the way. All I can do is to present some of the pitfalls, gained from my 45 years experience both as a Professional golfer and later through my business, meeting Tour Stars, Club Professionals and Assistant Professionals alike, on a daily basis. 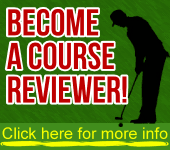 But most of all if you love golf and are aware of the pros and cons, then you can make your own decisions about your future in Professional Golf.